To meet the challenges of global competitiveness, manufacturing organizations are now facing the problems of selecting appropriate manufacturing strategies, product and process designs, manufacturing processes and technologies, and machinery and equipment. The selection decisions become more complex as the decision makers in the manufacturing environment have to assess a wide range of alternatives based on a set of conflicting criteria. To aid these selection processes, various multi-objective decision-making (MODM) methods are now available. This paper explores the application of an almost new MODM method, i.e., the multi-objective optimization on the basis of ratio analysis (MOORA) method to solve different decision-making problems as frequently encountered in the real-time manufacturing environment. 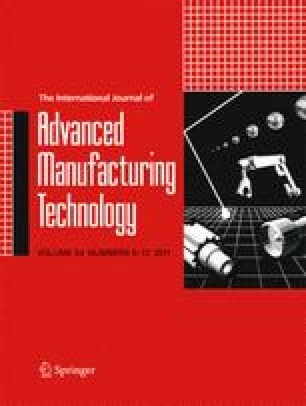 Six decision-making problems which include selection of (a) an industrial robot, (b) a flexible manufacturing system, (c) a computerized numerical control machine, (d) the most suitable non-traditional machining process for a given work material and shape feature combination, (e) a rapid prototyping process, and (f) an automated inspection system are considered in this paper. In all these cases, the results obtained using the MOORA method almost corroborate with those derived by the past researchers which prove the applicability, potentiality, and flexibility of this method while solving various complex decision-making problems in present day manufacturing environment.